When I think of quantity versus quality, I generally would assume that the quality item is going to cost more. We are conditioned to think that if we want something of a higher quality it is going to “break the bank”, especially in something like Physical Therapy or Performance Training. 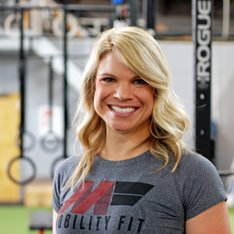 You may think, “If I want the best, I am going to have to pay the premium.” SPOILER ALERT: At Mobility Fit, we offer exceptional quality Physical Therapy and it WON’T cost what you may think. If you walk into a large corporate or hospital-based Physical Therapy clinic and observe what is going on, this scene is more than likely what you will find: A patient, we will call her Sally, comes in at her scheduled time of 2:00pm. Sally talks with her therapist, we will call him Steve, and lets him know how she is feeling today with her knee injury. Five minutes go by with this “check in”, and Steve stretches Sally for about 5 minutes. He then reviews her exercises with her for 5 minutes and lastly, passes Sally off to an aide to continue with her exercises. Sally’s appointment with her therapist is now over and Steve’s next patient is already on his table. Fifteen minutes is all the time Sally spends one-on-one with Steve, if she is lucky she may get up to 25 minutes of Steve’s full attention. There are several problems with this scene. The first glaring problem is restricted time: therapy clients cannot receive the best care possible in just fifteen minutes. There is no time to problem solve. Steve doesn’t have enough time to really figure out the underlying issue with Sally and he only treats her surface or presenting issues. Yes, her knee hurts, but why? Could it actually be a lower back or hip issue that is causing unequal weight distribution, which is causing the pain? Steve will never know because he is not allowed to spend enough time with her to get to the root cause….his next patient session is already starting. Because Steve doesn’t have enough time with Sally, he can’t customize her care. Sally may be a Boston Qualifying runner, but because Steve doesn’t have the time to put together an advanced program for her, she will do the same exercises as a 70-year-old, sedentary man. This “cookie cutter” approach to rehab will get Sally back to the status quo, but will not meet her needs as an athlete. Because Steve has to cycle so many patients through at a time, he loses track of what is best for the patient. I cannot speak for every Physical Therapy clinic out there, but I have unfortunately found this to be pretty standard and have seen how there is too much emphasis placed on the bottom line and not on doing what is best for the clients. If Steve sees patients every 15 minutes, and sees them each twice a week, he will see upwards of 40-60 different patients per week. Or you could look at it as 80 to 120 appointments a week. This is common in many of the Sports Medicine PT clinics in the area. Keeping up with the progress and exercises of this many patients is difficult, as you can imagine. Steve has to rely on charts and protocols for each person, having no time for creativity, problem solving, and personalization. The biggest problem with this whole scene: This has become the norm in physical therapy. Here is what I want you to walk away knowing: you can get more out of your physical therapy with the Mobility Fit Method. Our therapists spend the maximum amount of time with you as allowed by your insurance, NOT as determined by a penny pinching executive. We find out how much time we are allotted based on your coverage and have it covered, one-on-one with a Physical Therapist. For insurance companies this ranges from 30-90 minutes. 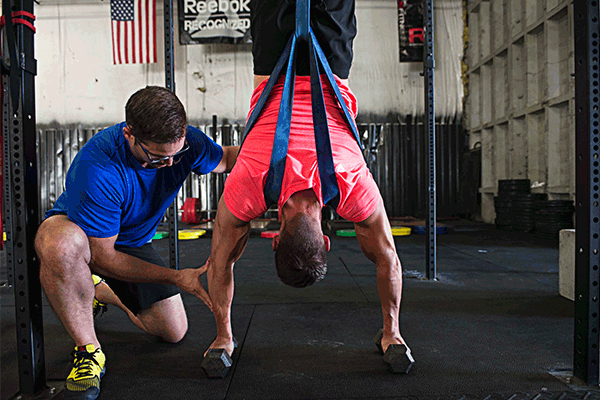 So at minimum, our clinic doubles your session time when compared to most other Physical Therapy clinics and then you are expected to stay after your session to complete additional work.So I have to ask you; why would you not want to get more one on one time at essentially the same cost? If anyone has a good answer to this please email me! We customize each visit to your specific needs, and specific to the activities you want to return to.You won’t be sent home with a piece of paper that looks more like an exercise list from a 1980’s Jane Fonda work-out to fix your knee pain. Sorry if you were hoping for one. What you will get is: a customized therapy session that incorporates cutting edge methods, manual therapy, maybe some dry needling, Graston, or cupping and a list of personalized exercises to do at home. All of these methods will get you stronger than ever for your running, training, weight lifting, or sport. We answer to a higher calling. Our main objective is to give the best care possible to each individual that walks through our door. For us, leaving at the end of the day, confident that we have given the best care available is more important and rewarding to us than any paycheck ever could be. The choice is yours and you have options: Do you want their quantity OR our quality? TO BE SURE THAT I AM CLEAR – I do not think that any of this is the therapist’s fault. These time constraints and quantities are forced upon them, not allowing them to do their job the way they may want to, or to the best of their ability.